A distributed, web-services based storage system. A system may include a web services interface configured to receive, according to a web services protocol, a given client request for access to a given data object, the request including a key value corresponding to the object. The system may also include storage nodes configured to store replicas of the objects, where each replica is accessible via a respective unique locator value, and a keymap instance configured to store a respective keymap entry for each object. For the given object, the respective keymap entry includes the key value and each locator value corresponding to replicas of the object. A coordinator may receive the given client request from the web services interface, responsively access the keymap instance to identify locator values corresponding to the key value and, for a particular locator value, retrieve a corresponding replica from a corresponding storage node. I’m guessing that in light of a recent supreme court ruling this application would not be granted under the strengthened obviousness test as such a patent for a distributed storage system with a web services client interface is about as obvious as you can get. 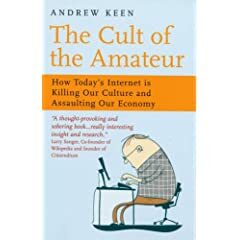 It wasn’t too long ago Amazon failed in their attempt to patent one-click technology which again should have been rejected on the basis of the obviousness test but wasn’t largely because Amazon has a history of bullying the Patent Office … Tim O’Reilly summed up why in this excellent little article. Patents like this are also incredibly short-sighted! The web has exploded because it was an open platform that sparked countless innovations by users. Fence in that platform, and who knows what opportunities will never come to light? I’m not sure whether Amazon would ever try to enforce this patent and I’m no expert on patent law, it just strikes me as a worrying development. As more and more people are depending on web applications to manage their lives and get information about what’s going on, it becomes and increasing problem when you can’t access those applications when you’re offline. Enter Google Gears! this new technology certainly strengthens Google’s position in going after Microsoft’s lucrative Office franchise, which makes commercial sense, More importantly though the technology actually makes the web and browsers a more attractive platform for building applications that can be used anywhere, anytim regardless of whether you have a connection to the internet or not. There decision to Open Source Gears is also quite an important one. By making the technology Open Source from a relatively early stage Google are inviting others to help improve the technology and build a community around it, and move towards developing with others an industry standard for these hybrid programmes that work both online and offline. This is quite an exciting development. I’ve been getting to grips with SPARQL over the last week, probably more so than I have at any time over the last year. SPARQL is an RDF query language and one of the nice things about the Talis Platform is that you dont have to know SPARQL in order to retrieve data. So up until recently I really didnt have much need to write SPARQL queries, I could pretty much do what I wanted with the platform using its other RESTful services. The platform however has extensive support for SPARQL, so whilst working on a spike this week it was apparant that some of the things I wanted to do would require writing some queries. I used it as an opportunity to brush up on my RDF and SPARQL – it’s amazing how easily we can take things for granted when the tools and services we use on a day to day basis hide us from low level implementation details. If your anything like me when you want to brush up on something you you tend to scour bookshelves, or google for bits of information, which can be time consuming and sometimes a bit hit and miss. Fortunately Danny came to my rescue, he joined Talis recently and I think he’s a fantastic addition to the team. Danny sent me a link to his Semantic Web Starting Points, a collection of links he’s compiled that provide a great introduction to semantic web technologies, which obviously includes RDF and SPARQL.